Yehuda comes in before class to work on weaknesses, which has shown in his movement quality. He’s always coachable and takes feedback and cuing well. You can tell he cares about the process, is fun to be around, and helps others in his class when he can! How/when did you get involved in CrossFit? I had been lifting every day with a group of guys from work, and when I switched jobs I missed that camaraderie and sense of community. I was never a big fan of going and working out by myself. My wife recommended I try CrossFit, and I have been hooked since. Do you remember your first workout? How was it? My first workout was a metcon that involved bodyweight movements that tested an individual’s conditioning levels. As someone who previously just powerlifting, I was completely wiped out halfway through the workout. What were your goals when you first started? How have they changed? Initially my goals when I joined EVF were to lose weight and have more energy. 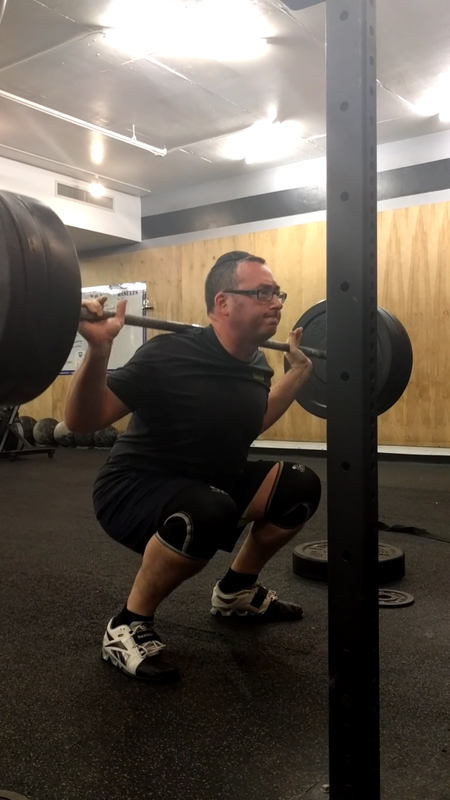 Now I would like to work on my form with some of the heavier lifts and movements. How have you grown in that time — health, body, mind, etc.? My diet has changed because I see that what I eat has a direct correlation to how well I can perform and feel during the workout. If I have a bagel or danish for breakfast, I am more sluggish during the noon workout. Working out every day at the 12 p.m. class and then going back to work I have found, I have more energy for the rest of the day and no longer need that 3 p.m. cup of coffee. What I enjoy about CrossFit is that every day is different and is challenging. 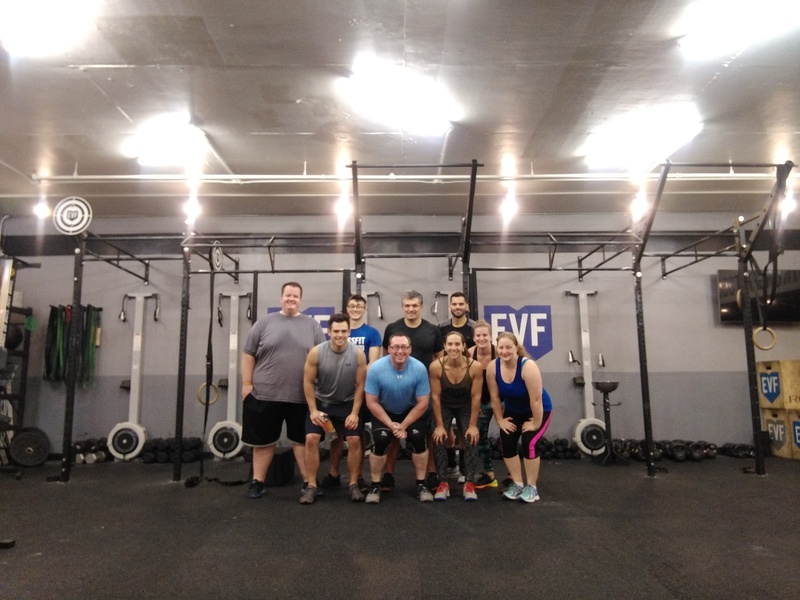 I really enjoy the programming at EVF and the thought that goes into each workout. CrossFit for me is also about community and the friendships I have made. Each workout feels like a get together with close friends. Usually on my birthday I take the day off to play golf. This year I wanted to come in and do a workout with my friends. My favorite lift has to be deadlifts. My favorite WOD is this year’s CrossFit Games Open 17.4 (deadlifts, rowing, wallballs). What about your least favorite? My least favorite has to be manmakers and any workout that involves running up the stairs and up the hill. What motivates me is a desire to be healthier as I get older and to constantly prove that age is just a number. 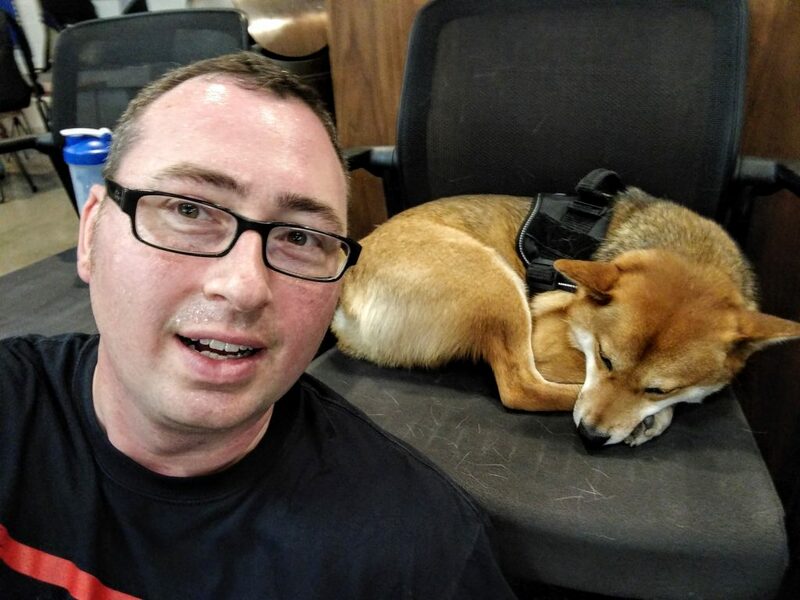 Do you have any advice for new members? My advice to new members is to not worry about what the Rx recommended weight is and instead focus on a weight that will challenge them and scale properly within their capabilities. 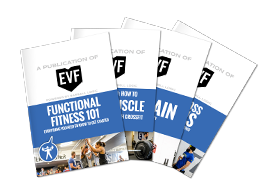 The coaches and the staff at EVF are amazing to help identify what the proper scaling should be to help you get stronger and better at the movement. What do you hope to achieve in the coming year? I hope this coming year I can have more consistent Rx workouts and finally be able to perform double unders consistently.